JACKSONVILLE, Fla. — Over the past two years Mayo Clinic’s Florida campus has erupted with substantial growth in major construction projects and new staff to serve a fast-growing patient population, especially those who require complex medical care. 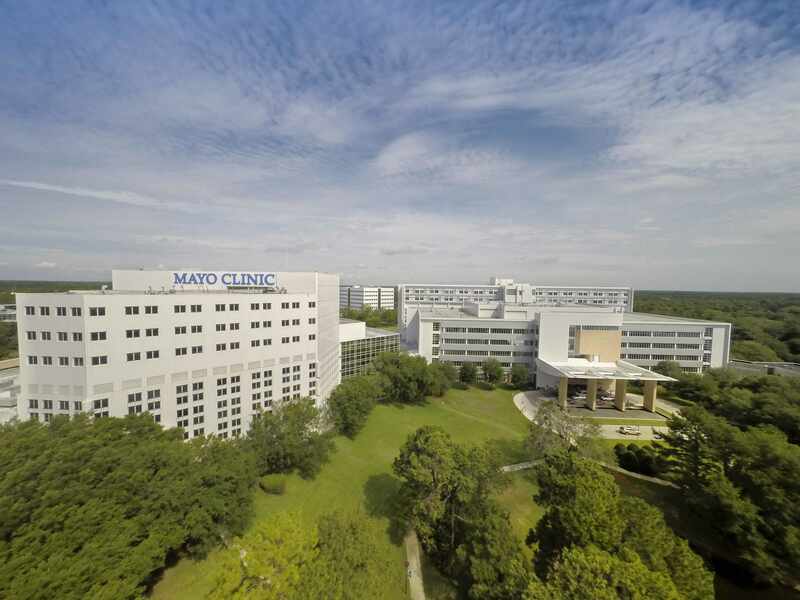 During this time, Mayo Clinic has invested more than $300 million in major construction projects and added 900 new staff as it advances its status as the premier destination medical center in the Southeast. Mayo Clinic’s Florida campus now has about 5,900 employees and contributes roughly $2 billion to the Florida economy. “To solidify our position as the premier destination medical center in the Southeast, we plan to recruit the brightest people, significantly expand our space, and continuously improve our technology to enhance our ability to deliver the highest quality of care for our patients,” says Gianrico Farrugia, M.D., vice president, Mayo Clinic, and CEO of Mayo Clinic in Florida. A $25 million gift from the family of Dan and Brenda Davis of Jacksonville helped spur the next phase of the expansion. The family’s gift will support the Mayo Building South construction and the recruitment of world-renowned physicians and researchers. Over the next five years, Mayo Clinic’s Florida campus will add about 300,000 square feet of space and hundreds of additional new staff, including more than 100 physicians. In preparation for this new expansive growth, Mayo Clinic is working with the North Florida Transportation Planning Organization and Florida Department of Transportation on improvements for traffic around the campus. Mayo Clinic already has begun constructing an innovative destination medical building that will provide integrated services needed for complex cancer, as well as neurologic and neurosurgical care. Initially rising four stories, the 150,000-square-foot building has the potential for 11 more stories. The building is expected to be completed in 2018. Another major construction project underway on Mayo’s Florida campus is a state-of-the-art positron emission tomography (PET) radiochemistry facility. The facility, which is expected to be completed in 2018, will house a radiochemistry laboratory and a cyclotron – a particle accelerator important in the production of radiopharmaceuticals. The facility will produce Mayo-developed Choline C-11 used in certain PET scans. The scans are the latest advancements in imaging tests that light up prostate cancer wherever it is found and provide targets for therapy. Locating recurrent prostate cancer sooner may enable Mayo physicians to target the cancer more quickly, before it spreads further. This allows for more effective treatment. The cyclotron also will produce other radiopharmaceuticals to image a variety of organs and develop the next generation of imaging techniques. Also, Mayo Clinic and United Therapeutics Corporation are collaborating to construct a three-story, 75,000 square-feet building that houses technology that will increase the volume of lungs for transplantation significantly by preserving selected marginal donor lungs and making them viable for transplantation. Then, the lungs will be made available to patients at Mayo Clinic and other transplant centers throughout the U.S. The organizations also will work together on regenerative medicine research — a game-changing area of medicine with the potential to heal damaged tissues and organs. The building also will house a biotechnology center aimed at attracting new companies to Northeast Florida. Construction is expected to be completed in 2019.